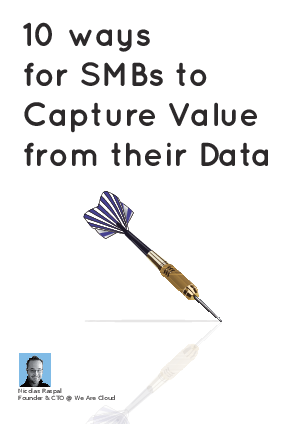 When it comes to acquiring business intelligence (BI) capabilities, many small and medium-sized businesses (SMBs) have traditionally been at a disadvantage. They often cannot justify the large CapEx demanded of them, do not have the IT resources to run an on premise database and server system and are not sure that they have the breadth or depth of data to warrant such a system. Often their needs changed and evolved far faster than software could be developed and installed. However, just as the prediction that there would never be more than a million cars in Britain due to the lack of chauffeurs is now laughable, the emergence of self service BI has blown these traditional problems out the water and opened up BI to millions of new companies. Self service BI is all about empowering the end-user and removing the high barrier to entry, both in terms of CapEx and in-house expertise. The Software as a Service (SaaS) model not only breaks down this barrier, but also incorporates the flexibility to grow and evolve as smaller companies respond to their data and expand. In this paper we explore the ten key considerations for SMBs setting up a BI project and explore some common mistakes to avoid.